Are potential candidates for Freemasonry put off by the need to profess a belief in a Supreme Being? How, in today’s increasingly secular world, do we address this? Freemasonry is not a religion, but it does expect its members to have a belief in a Supreme Being. Every prospective candidate is asked to confirm that they believe in one of the recognised religions as part of the interview process. This terminology is deliberately chosen to allow each prospective member to follow their own spiritual path. Making no distinction between religions enables men of different faiths to meet on the level. All Lodges will have the Bible open during ceremonies, but if members follow other faiths, their religious text will be open too. In this way, all faiths are treated as equal and their followers can participate fully in our organisation without discrimination. I have discussed Freemasonry with a number of my work colleagues and everything was going well until I discussed the need for a belief in a Supreme Being. At this point, they looked at me and asked me if I really believe in the archetypal bearded old man image of a deity. I cannot believe that I am alone in having this disappointing experience. The challenge for Freemasonry is that UK society is becoming increasingly secular. Secularisation is the transformation of a society from a close identification with religious values and institutions toward nonreligious values and secular institutions. This process has been underway for a while, although academics argue as to whether it is a result of the permissive society of the 1960s or a process that started in the early nineteenth century and accelerated with that more relaxed world view. Irrespective of the causes and start date of this process, the net result is that fewer people will be able to answer the “do you believe in a Supreme Being?” question positively with a clear conscience. How then do we address this specific challenge to our membership growth aspirations? I regularly listen to the Masonic Podcast and learn something new from every episode. I was particularly struck by an idea put forward in the interview Robert Bone recorded with Dr David West which was published as episodes 23 and 24. David is a member of St Laurence Lodge 5511 in Essex and has a degree in Philosophy from Exeter and a PhD from Leicester. He has published several books and his academic background means that they are well researched and argued. The secularisation of society was one of the many topics they discussed and it really made me think. What is the true purpose underlying the question regarding a person’s faith? Whilst the Craft ritual is deliberately not religious, we do ask for divine support in our undertakings and when we make solemn promises, these are treated in much the same way as a person swearing to tell the truth in court. Historically, swearing an oath to God served to remind to remind the person that they were making a solemn promise and that they would answer to their Maker if they broke that promise. This parallel caused me to investigate further. How is the English legal system handling the secularisation challenge? The answer is that the option to affirm rather than swear has been adopted. This not only provides those with no professed religion, but also those with deep religious convictions that prevent them from swearing an oath, an acceptable option. The difference between an oath and an affirmation is that the oath is a religious commitment whereas an affirmation is non-religious. As we profess to be a moral fraternal society, not a religion, is it time that we allowed people to affirm rather than swear? Is a lack of faith really a barrier to leading a moral life? Are many Lodges tacitly doing this anyway by counselling candidates about the questions? For some this may be a step too far – this post is meant to provoke considered debate for the good of Freemasonry’s future. I would love to hear your thoughts on the matter using the comments area below. I moderate all comments so do not be concerned if your comment does not appear immediately. What role does Social Media play in the recruitment, retention and re-engagement of Freemasons? Many people are struggling to understand the place for Social Media within a fraternity that has existed for nearly three hundred years and for the last eighty years has been largely hidden from public view. For most Freemasons alive today, being a Mason was something you only ever mentioned to those you really trusted. For the general public, this fosters the conspiracy theories, but it can be easily explained by the fear felt by Freemason during the 1930s as a result of the political situation in central Europe. There are no definitive figures for the number of Freemasons killed as the records did not always record that a person was selected because they were a Freemason. However, estimates range from 80-250,000 killed in the Holocaust. Slowly, Freemasonry is emerging from this self-imposed isolation, re-entering the public arena and seeking to redress the balance. This is proving difficult for those who have been raised to believe that being a Mason was something that one did not talk about and that the public viewed with derision. Today Masonic organisations run websites and increasingly are turning to Social Media platforms to get their message out. Facebook and Twitter are popular platforms with LinkedIn being used where Lodges have an affinity with a school, university college or organisation. This is essentially a cradle to grave plan framed as the 3 Rs. So how can Social Media play a role in these three areas? Many Freemasons have an issue with the concept of recruitment as traditionally we did not recruit, we nurtured interest when it was shown but advertising and naked recruitment was and is generally frowned upon. To this end, a senior Mason suggested that the term “attraction” be adopted which this author prefers, but it does not scan as well. This approach was widely described as “To Be One Ask One” which was fine when people were open about being a member but flawed when nobody knew who to ask. The challenge was also that only the brave would be prepared to join an organisation surrounded by all of the negative publicity that Freemasonry was suffering over the last 40 years. Social Media allows us to address both of these issues. Having a presence on the popular platforms makes it easier for the curious to find someone to ask about joining. Our presence on the platforms also encourages us to publish stories about what we are really doing and thus become more open which promotes a generally more positive opinion of the institution. This should result in a positive feedback loop where more positive opinion results in more people being curious about joining. In common with all clubs and societies, Freemasonry suffers with people losing interest in the organisation, perhaps as their family or work life makes it more difficult to attend the meetings. Strenuous efforts are being made to ensure that we keep these Masons interested and engaged even if they cannot attend formal meetings. We want to keep in contact with them, let them know that we are ready when they feel that they can come back and that there are ways to keep in contact. 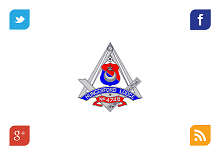 Social Media enables them to follow the activities of their Lodge and, in cases where they have moved away from their Mother Lodge (the Lodge through which they joined Freemasonry), to more easily find a new Lodge that meets their needs. Equally, Social Media is playing a role in increasing the enjoyment of those who are active Freemasons. Members connect across the globe with other Masons to get a better understanding of what Freemasonry means in other jurisdictions. Meetings are arranged when Masons go on holiday, allowing people to experience different ways of doing things. Social Media is also being used like any other communications tool to exchange views, to support one another and to share jokes. All of this can be done via any other medium, but it is easier through these platforms. They are geared to bring together like minded individuals. All of the Social Media platforms encourage you to increase your network by adding people that your existing contacts interact with. This is no different than being introduced to someone new in your Lodge, the pub or at work, it just happens more quickly and as the result of a computer suggestion. Inevitably, some Masons will drift away from the organisation, perhaps due to the aforementioned pressures but times change and they may be encouraged to return. Re-engaging “lapsed” masons is a great way to bring them back to the organisation. Many people use Facebook to keep in touch with family, friends and former colleagues that they have moved away from. Families are probably more geographically dispersed today than they have been at any other point in history. As a result, one of the fastest growing demographics on Facebook is the so called Silver Surfer generation who are using the platform to keep up with their children and grandchildren. As the younger generations move to new platforms, the older generations will inevitably be encouraged to follow them. With this in mind, it is worthwhile Provinces and Lodges engaging in Social Media to enable these lapsed Masons to re-engage more readily. Is Social Media the magic bullet? There is no magic bullet to address these issues, we need to adopt an omni-channel strategy encompassing in person, printed and online communications to reach our intended audience. As with all communications strategies, we need to talk to potential members (including the lapsed and disenchanted) in the medium and language that they are using. Social media is not the be all and end all, but it is an underutilised part of our toolbox. If you ask five Freemasons why they joined, you will get at least five different answers. Each person has their own reasons. (I say “person” because there are female freemasons, albeit not as part of the United Grand Lodge of England) These reasons can be intensely personal and for many there is not a single reason. For me this is a very significant reason. My father, grandfathers and great-uncle were all masons at points in their lives. It has been part of my consciousness from an early age and I had always wanted to join. This is not unusual; many masons are brought in by blood or in-law relations. It is wonderful to see how Freemasonry can reunite families who live significant distances apart, when one member has a special occasion to celebrate, such as becoming Worshipful Master of their Lodge. I knew my father went out in the evenings “suited and booted” with his case and I wondered what it was all about. I read as much as I could but nothing prepared me for the warmth and affection I found when I was initiated. A note of caution here – the ritual is available on the Internet if you look – but please don’t, it will spoil your evening if you do. Humans are social animals and many love the engagement with others that joining an organisation brings. The wide ranging spread of freemasonry really helps with this desire. Lodges exist throughout the country and wider world. 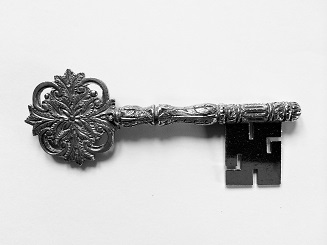 Changing address does not mean that you lose contact with Freemasonry. Also, if you have to move for some reason, what better way is there to build a new local network of friends than by joining a Lodge in your new area? Freemasonry brings together people of varying backgrounds, faiths, skills and interests and gives them a common bond. Whilst membership of a golf club tells you that a person likes and plays golf, being a freemason tells you about their moral values and being an initiation society ensures that all freemasons have a common shared experience. Freemasonry offers a number of challenges, from learning the ritual, to public speaking, acting as secretary or treasurer or even the highest accolade any member can be given by his Lodge, to act as Worshipful Master. There is always a degree of banter and joking within a group. Within freemasonry there is a tendency to be supportive and a recognition of the effort required to memorise long tracts of text and deliver them with sincerity to a candidate. The ritual also encourages the amicable settlement of any differences before entering the Lodge. The discussion of religion and/or politics is expressly forbidden within masonic meetings. This removes the foundation for many arguments and has enabled brethren to meet across an otherwise unbridgeable divide. For example, the Grand Master of the Grand Lodge of Israel is a Palestinian. It should be remembered that first and foremost Freemasonry is a hobby. For some officers within the Lodge it can sometimes seem like a job, particularly when others are enjoying the camaraderie at the bar and you are still collecting dining fees! However, when you go visiting you can forget all that and let someone else take the strain. Visiting is one of the joys of being a freemason. Seeing how other Lodges “have always done it” differently to your own Lodge means every Lodge meeting is a joy. Meeting old friends and new is the cornerstone of freemasonry. Freemasons who take an active role within the Lodge will learn many things. The ritual elements are single act plays, delivered out loud by a small cast to a highly supportive audience. As an active officer, masons will gradually become comfortable with the idea of speaking in public. They will also have learnt the art of memorising the words and standing in the right place at the right time. Secretaries and treasurers learn the skills required to successfully organise and run what is essentially a small not-for-profit business. Those attaining the office of Worshipful Master will learn how to manage to consensus and to rule their Lodge. If this post has inspired you to join Freemasonry, all you need to do is ask. A year ago I went to a great seminar organised by the Berkshire Masonic Education Team on the topic of Learning the Ritual. It was not a cramming session on a particular part of the “little blue book”, rather it was a discussion on the science of learning. I was intrigued to find out that we don’t all learn in the same way. There are different methods which influence the way a person takes in, understands, expresses and remembers information. The other part of the course was learning when not to attempt to learn. It may seem like common sense but sometimes it has to be said before people realise it. Trying to learn when you are tired, stressed/upset, hungry, or have consumed alcohol will typically make the learning less effective. The problem with this list is that most Masons are busy people anyway and so they will frequently be tired or stressed which will make it particularly difficult. As for being hungry or having consumed alcohol, well that is more personally controllable. Visual learners learn through seeing. They’re the ones most likely to drift off during a long lecture. Masons in this category are more comfortable with images, than working with words. Visual learners generally find tools like diagrams, flowcharts, pictures or symbols key to learning the ritual. A good trick for visual learners is to develop a system of images to replace the written word. It can be useful for visual learners to colour code their notes, to create more visual stimulation. Another trick is to associate parts of the ritual with a mental image of a part of the Lodge or the particular Working Tool. Auditory learners learn by listening. Lectures, tutorials, and group discussions are essential, for these learners. Auditory learners can focus better on text passages by reading them aloud, so they can hear how the words sound. Masons in this category may benefit from recording themselves delivering the ritual. The advent of the MP3 and iPod/iPhone devices allow auditory learning Masons to play the ritual over and over in the car or on the journey to work. Reading and writing are the main methods, here. Masons who are read/write learners may find it helpful to write out the piece that they trying to learn. They should read it, then create a new, condensed set of study notes. Masons categorised as read/write learners often benefit from the creation of mnemonics, for example as children we were taught to remember the sequence of the colours of the rainbow with Richard Of York Gave Battle in Vain (Red, Orange, Yellow, Green, Blue, Indigo, Violet). It might therefore follow that you could create a mnemonic for the seven liberal arts and sciences or the five noble orders of architecture. Kinaesthetic learners learn by doing. These Masons will get an enormous amount out of the Lodge of Instruction by rehearsing the piece over and over again. Learning exercises should aim to bring all their senses into the experience. This will provide multiple cues to aid their recall of the ritual. For example, walking to the Junior Warden’s chair should trigger the memory of the specific part of the ritual. Masons who are multimodal learners will display two or more of the above learning preferences equally, or near equally. This is more of an ideal condition, as combining elements of different learning styles can be beneficial, regardless of your predominant preference. Learning styles can and do change, over time. This is often influenced by changes in your life and learning environment. Personally, I have tried auditory and kinaesthetic learning as I find that I need to learn the words and then practice the associated floor work. Which type(s) of learner are you? This questionnaire uses 16 questions to determine your learning style. The test presents a variety of learning or explaining scenarios, and asks how you would best make a decision, or give advice, or integrate this new information. It’s a good idea to retake the test annually. That way, as you change you can adapt your learning style to meet your current needs. This thinking can be applied to all forms of learning, not just Masonic ritual. I hope this post helps you to find the best way for you to learn the ritual and as a result it takes some of the stress out of the process. You may also want to listen to this podcast from In The Chair where Robert Bone interviews Rick Smith author of the great book “Learning Masonic Ritual, the Simple, Systematic and Successful Way to Master the Work”. He has also written a companion book “Learning Royal Arch Chapter Ritual”.